As at 1948 the Ghanaian soldier, in comparison to his/her counter-part in the civil service was arguably, poor and less educated. Those few Gold Coasters who had managed to make it to the officers level as Colonel Baidoo once told, had started as raw recruits and had rose to their heights through verifiable hard work, demonstrated regimental obedience and sometimes, through sheer luck as power, began to slip slowly from the hands of their superior White British officers. We observe in passing that many indigenous Gold Coast soldiers, had been perhaps, drafted into the West African Frontier Force not on their own volition but as a matter of necessity for the colonial government who was engaged in series of battles both at home and at abroad. 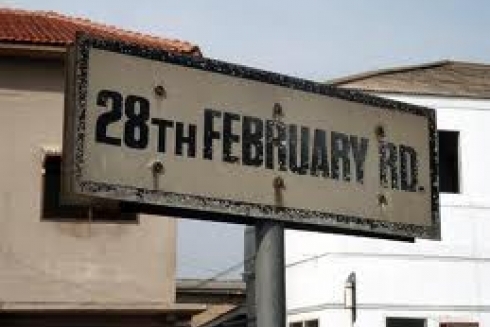 Some of these fighters were Sergeant Adjetey and Corporal Attipoe, whose standoff to British system in Accra, evoked the 28 February 1948 nation-wide riots and self-rule. At the end of the Second World War, the Gold Coast was entering a period of economic, social and political malaise. The prices of imported goods were exceptionally high and the Colonial Government was according to Francis Adigkwe (1975), attempting to have all disease-infected cocoa trees destroyed. Then was the acute unemployment, arising from the following: firstly, many of the ex-service men had left the army and returned home. Secondly, the elementary schools were producing standard six schools leavers. Both these groups were unskilled, possessing only low clerical skills. Although compared with the pre-war period, Adigkwe notes that the Gold Coast economy was in a state of boom, it was not expanding fast enough to accommodate these unskilled people- the issue was their indeterminate status and role in society. Western education had alienated them from what would have been their traditional status in society. However, the low level of education also barred them from membership of the intelligentsia and educated elite. All these problems compounded were enough to be political dynamite. “The atmosphere remained ominously calm until 28 February 1948 when the Police at the Christiansberg, opened fire on the ex-service men who were on peaceful parade at the Crossroads near the Governor’s residence. The incident spread like wild fire to towns and cities other than Accra, where 29 persons lost their lives, 235 persons received serious injuries, and property worth £2 million, damaged. The loss of life and property greatly exceeded the immediate causes of the riots which were the local grievances of the ex-service men. For other groups with other grievances, the shooting was exploited as an opportunity to express their dissatisfaction. Among these groups were cocoa farmers who could not understand why the Cocoa Marketing Board was not giving the full world market price for cocoa.” Other grievances were championed by Nii Kwabena Booney- chief of Osu Alata- namely concerns over the very high prices of goods imported from England which added to the profits of the essentially British-controlled commercial class at a time of unemployment. The suspicions of southern-based politicians and the feeling of political insecurity ushered in the political awakening of the Ashanti. Thus, by inference, the rioters were deemed as drunkards and perhaps, without any serious grievance. Accordingly, the Military forces were ordered in to enforce law and order and by midnight, Accra was under control but only to resurface. Therefore, curfew was imposed in certain parts of Accra and with regulations to control traffic and close roads. In a follow-up inquiry to the state of Accra and the riots, Mr. James Hudson- Ealing North MP (Labour Co-operative) puzzled: “As the Minister has just admitted that a considerable number of the participants in these troubles were drunk, will he now propose to take away the considerable increase of drinking facilities that have recently been made by the Government in these parts of the world?” The Under-Secretary said: “I am not aware that any increase in the facilities has taken place on the Gold Coast in recent years.” How could have such a huge agitators be all drunk? The troubles of 1948 were in part, swiftly pushed on elements of communists agitators in the country. Yet like the timed-bombed of the June 4 1979 military revolt, the background to the 1948 though could have some embedded political undercurrents, its immediate outburst, was purely economic grievance- on the part of the returning war veterans, not forgetting the general public whose general condition and welfare as history tells us, could be described no more than the following adjectives: poor and needy? The Watson Commission later identified the following as the causes of the 1948 riots as those rooted in socio-political and economic. There was the feeling of political frustrations among the educated Gold Coasters who saw no prospect of ever experiencing political power and who regarded the 1946 Burns Constitution as a mere window-dressing designed to cover their aspirations. Like the current jobless university graduates, perceptions of post 1948 and 1979 republics, the commission yes, also found in 1948 that governance of our country through the chiefs was also a major cause of the political agitation. Thus, similar to our current trials in respect to the overbearing executive and parliament, the Watson Commission concluded among other things which appear also to be relevant in our current Republic that a substantial measure of constitutional reform was necessary to meet the legitimate aspirations of the indigenous population and made detailed recommendations: establishment of a full representative government. Local authorities were to have elected majorities, while retaining some traditional elements. It proposed an elected Regional Council and a central Legislative Assembly which nearly all members would be elected either directly or indirectly by popular vote. The Committee also proposed the reconstitution of the Executive Council to become responsible for the formulation of policy. But such reforms could not stop the onward march to independence/self-rule which came on 06 March 1957. 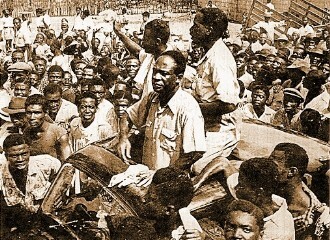 Dr Nkrumah drove on the back 1948 riots and by 04 September 1961; the Ghana Railway Workers Union had dug CPP’s grave with a massive strike against economic hardships and ideological meddling. “…the AFRC is not to stop the return to civilian rule but to clear up the mess created by the previous regimes. The action represented a revolt of the ordinary Ghanaian against social injustice, against economic hardship and against the cancer of corruption that had eaten deep into the fabric of our society,” Chairman J.J Rawlings emphasized this on Radio and TV broadcast. Some of General F.W.K Akuffo’s political woes were said to be employment of orthodox devices in the implementation of his economic policies. Thus, to curtail inflation, he for example, “reduced the monetary supply by holding back increases in government expenditures to 11 per cent in 1978-1979 (in contrast to 59 per cent the previous fiscal year), which in turn necessitated a clampdown on government borrowing from the Central Bank.” Those who were grown enough under Akufos regime still recall to memory how in August, 1978, the SMCII regime devalued the cedi by 58.2% against the US$, (i.e from 1.15 to 2.75). Then was one of the said evils of the SMCI & II- manipulations of import license that in the opinion of AFRC, allegedly, favoured its few military and civilian cronies. No wonder, numerous business entrepreneurs- most notably, the B.B. Brothers and the J. K. Siaws of fame, not forgetting expatriate firms, were targeted and by the AFRC revolutionary benchmarks, their assets seized or confiscated. The AFRC, according to the NRC Final Report, ruled for 112 days before handing over power on 24 September 1979, to the Dr Hilla Limann-led elected Peoples National Party (PNP) government. Some of the AFRC’s political trump cards which the PNP struggled to measure up were the said 'House cleaning' debut against bribery and corruption and confiscation of what was then termed as ill-gotten private assets. 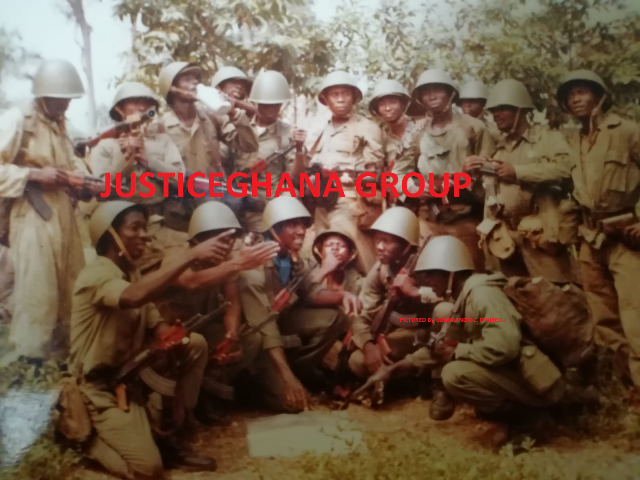 The military putsch also claimed the lives of the country’s three former military heads of state- namely: Lieutenant-General Akwasi Amankwaa Afrifa; General Kutu Acheampong and Lieutenant-General Frederick William Akuffo, by open execution at the Teshie Military Range on 26 June 1979. In addition to this were five Supreme Military Council’s top-hierarchy- Rear-Admiral Joy Kobla Amedume (Navy Commander); Air-Vice-Marshal George Yaw Boakye (Air Force); Major-General Robert Ebenezer Abossey Kotei(Chief of Defence Staff); Major-General E.K. Utuka(Border Guards) and Colonel Roger Joseph Felli(Foreign Affairs), were summarily found corrupt by the AFRC’s Special Court and accordingly, also executed by firing squad. Today, Naval Captain Baffour Assasie-Gyimah (Rtd)- an AFRC/[P]NDC enthusiast, who seems worried about corrupted judgment debts, states there is too much corruption in Ghana. “Ghanaians have become too bold and fearless of the repercussions corruption. Gone are the days when politicians were scared of displaying even whatever wealth they had legitimately acquired. Now they do not care to show how many mansions they have built within the short period of entering politics when they can never explain how their earnings could account for the sudden wealth. Why can’t we Ghanaians enter politics to serve? Why can’t we be like the President of Uruguay who still lives in his own little house and still drives his 1986 VW Beetle vintage,” he puzzles. This commentary is authored by Asante Fordjour and in contemplation of the 1948 riots and all the [un]resolved grievances that flew through it in Ghana- including a focal analysis on the June 4 revolt that atoned human blood. Today is 02 June and at the time of going to press the cedi-dollar rates, are Gh4.12:$1. The catchwords remain bribery, corruption, ostentatious lifestyle of politicians and threats of workers’ revolts. It’s unclear whether Ghana could unite itself on these in our life time or generation. What the Ghana needs, respectfully, might be the focus to bring together the broken pieces of its internal blocks which continue to settle after some half-a-century internal/external demolitions and wreckage! The Ghanaian leader must begin to see the prudence in creating wealth for all its peoples- especially, through education and training of its impoverished and dejected youth rather than putting themselves, families and friends ahead- at the apex of Africa's human development indexes and economic successes. Thus, whatever we are doing or whichever position we find yourself in Ghana, we ought to pause for a moment and to reflect, whether our [in]actions measure up to the ideals and principles of June 4 1979. If the answers are no, then one could predict without hesitations that the jobless and hopeless youth of our generation unlike those intelligentsias and the socio-economically distressed and frustrated army veteran or active service personnel of ancient; who also fought for political inclusion and independence, [as the current Mediterranean Sea catastrophe for which the African leadership or the African Union (AU) appeared helpless to its citizens], might soon crave for recolonization of his country- rather than the cause of the African Unity rhetoric. It might be just a matter of time and the African leader indeed need to Act Now! As Baffour Assasie-Gyimah cautions our country, it could be too late- Ghana is headed closer to the precipice and to our own destruction if we do not yes, stop the greed now; and don’t even look back.